Jan 2019 was our 10th anniversary. It was then, that Pat Munoz began a two-man business, with one truck, just a little bit of equipment and a whole lot of passion for helping people. Today, we have over 30 employees, enough vehicles for multiple crews, and a lot of high tech equipment to support our community even in storm situations. One of the most challenging times you may experience, is when your home or business is affected by water damage. As difficult as it may be during a time like this, you can count on your local SERVPRO of South Pasadena heroes to save the day. Depending on the size or extent of the damage caused by the water loss, we may be obligated to remove all the contents from the affected area. You can trust our professional staff to pack, inventory, and store your contents in our warehouse facility. 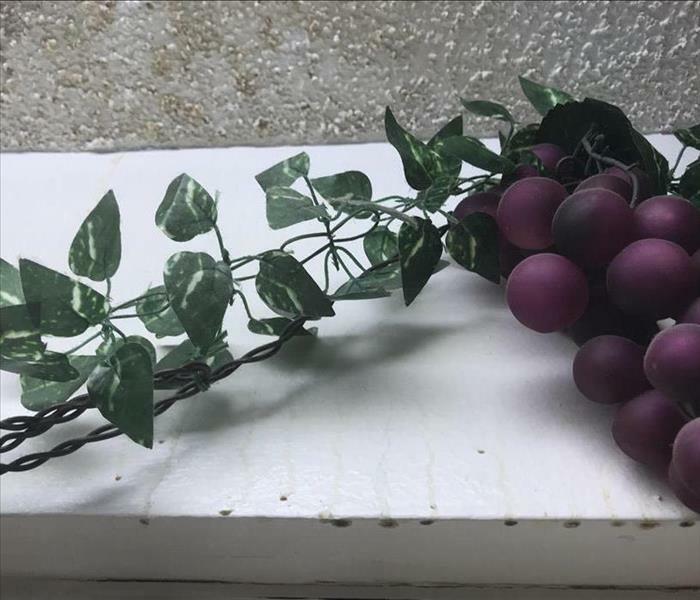 The process begins by taking a detailed inventory of your items with photos to ensure that all your items are documented. After all your items are inventoried, it is then brought back to our facilities where they are stored. Following a catastrophic event, a local retailer suffered flood waters of about 4 feet deep. 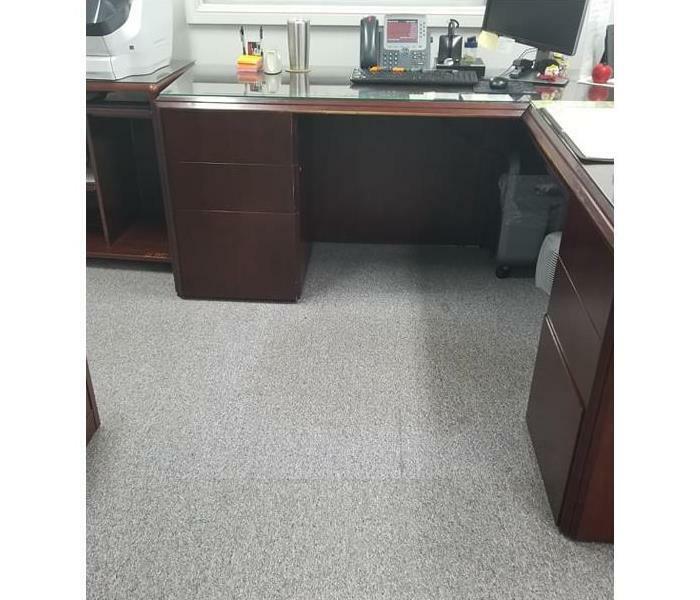 Notice the silt damage to the carpeting and floor. The after picture is reflective of the final stages of mitigation before repair work was to start. 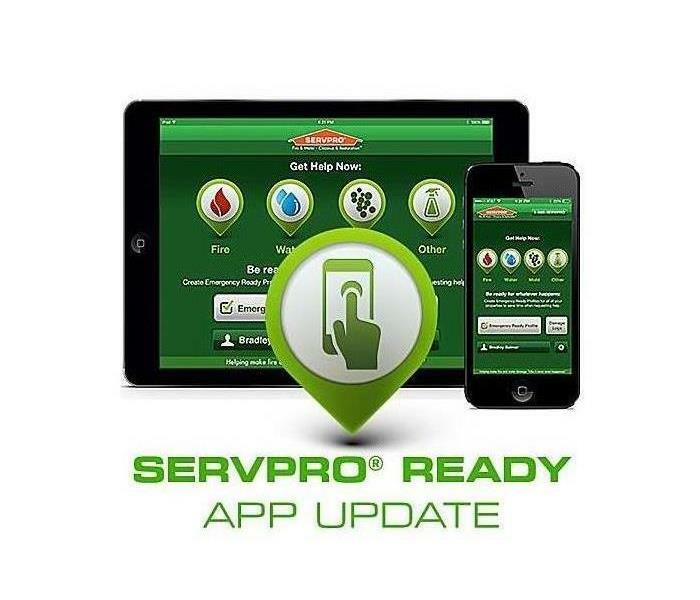 SERVPRO, with the proper resources and knowledge, put the customer's mind at ease and stayed in touch daily about the progress being made on the job. With great effort, our crews were able to dry the floor and restore it back to normal without having to replace it. 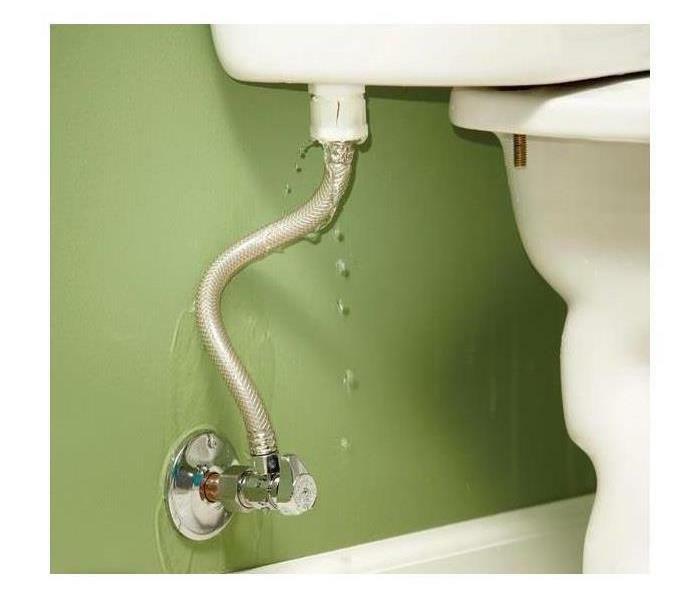 We highly suggest you check all of your supply lines (toilets, ice makers, dishwasher, and washing machine) and upgrade to a ball valve for all of your connections. SERVPRO Tip: Take a screwdriver and create a single hole into the drooping ceiling to release the trapped water. It is a good idea to replace all electronic appliances that were close to the origin of the fire. The intensive heat may have melted important electrical components. With contents coverage with your insurance company, they may even pay to have it replaced. 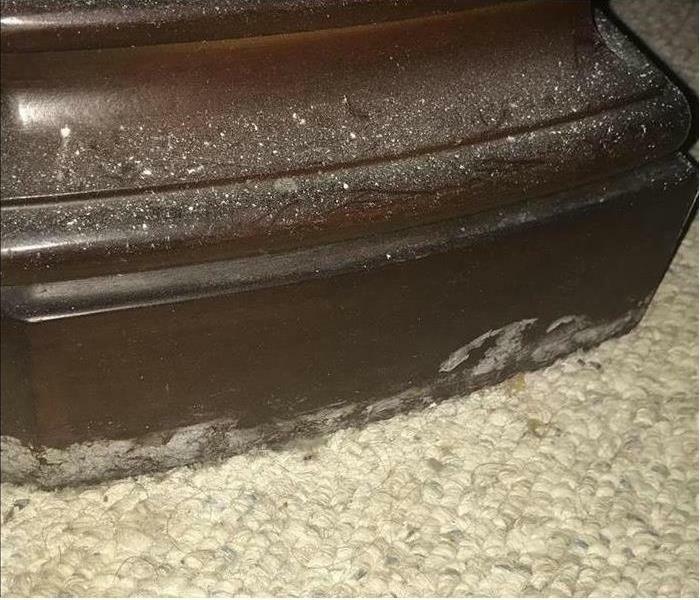 On the outside, it can be hard to see a leak, but you will notice it quickly once water starts draining into your carpet and on your belongings. 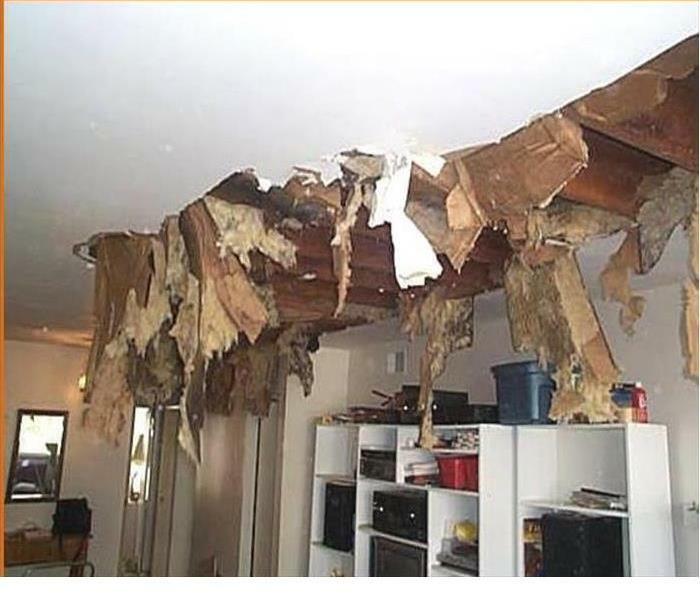 Water Heaters are among the top causes of water damages in a residence. If you suspect there is something wrong with your Water Heater call a plumber asap. 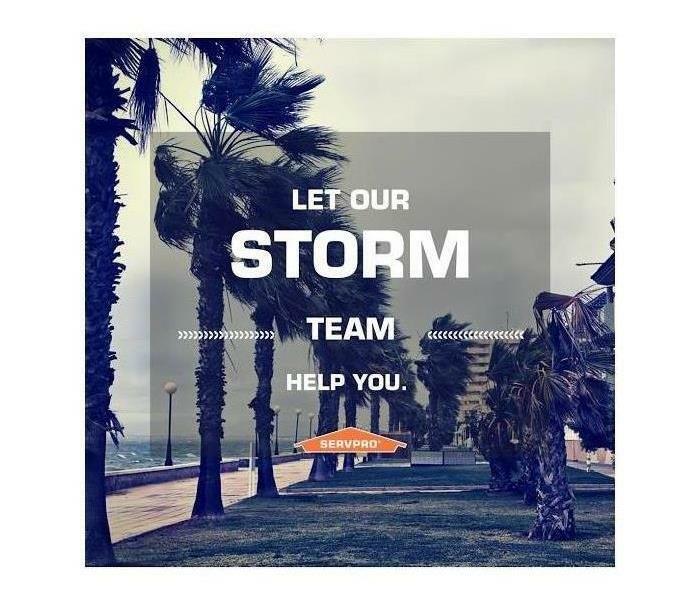 But if the worst happens, you can always call SERVPRO of South Pasadena! 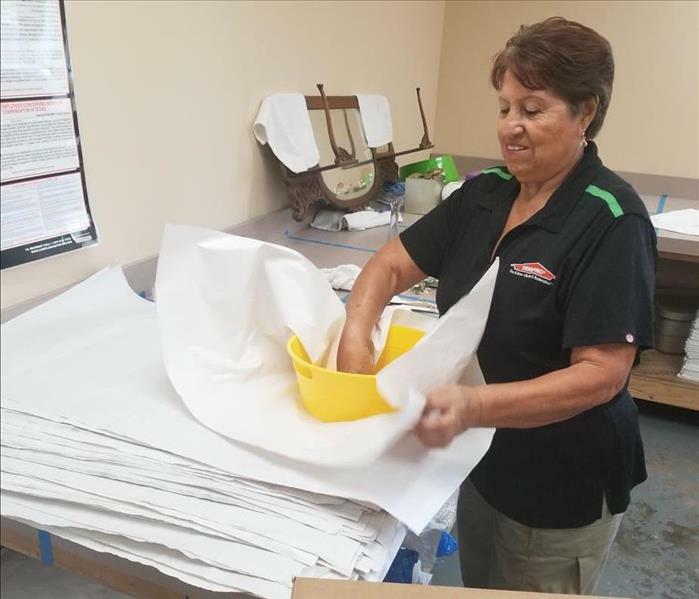 There is no job too big or too small for SERVPRO of South Pasadena. 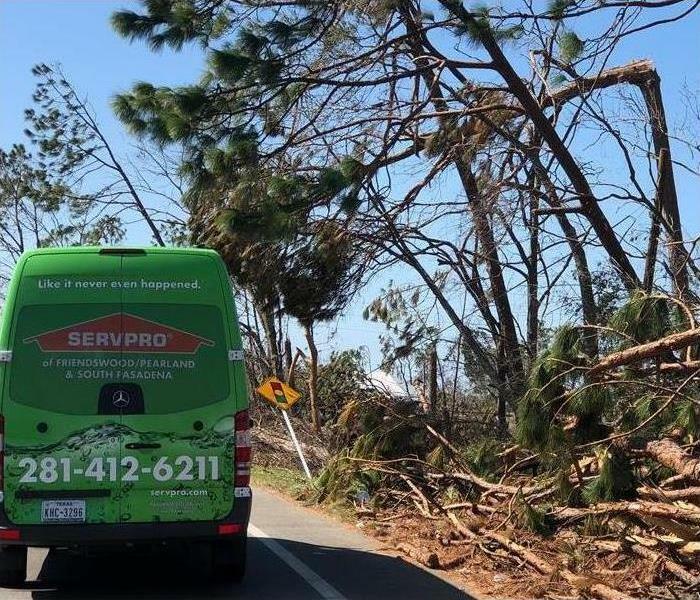 When customers were in the need of help after Hurricane Michael, we loaded up and headed to Florida. We will always be there when you need us the most, no matter the distance. 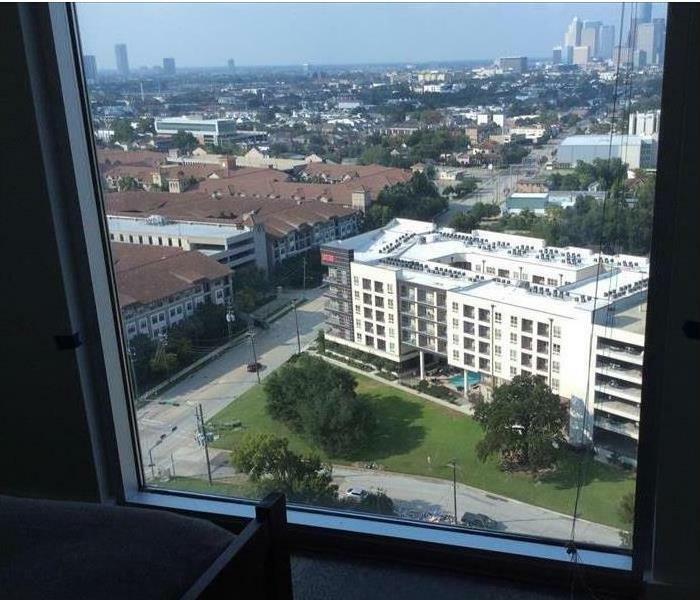 We are a phone call away (713) 472-4162.
or call us at (713) 472-4162. 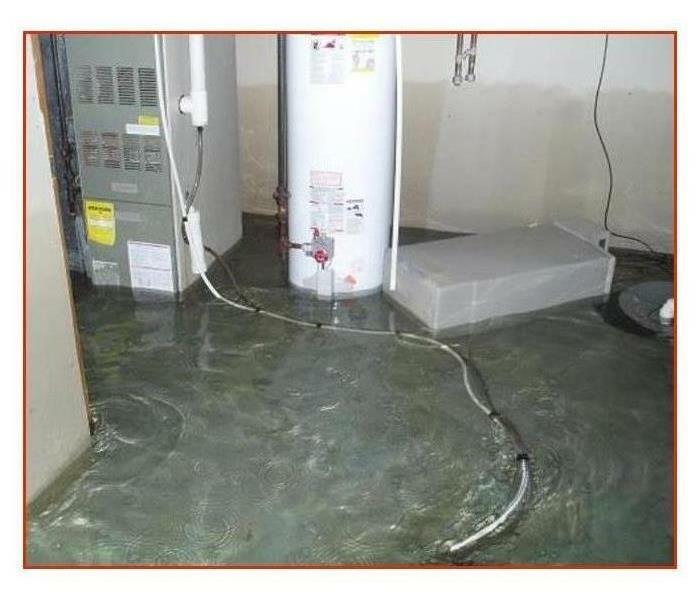 When you have water damage, make it a priority to call us. 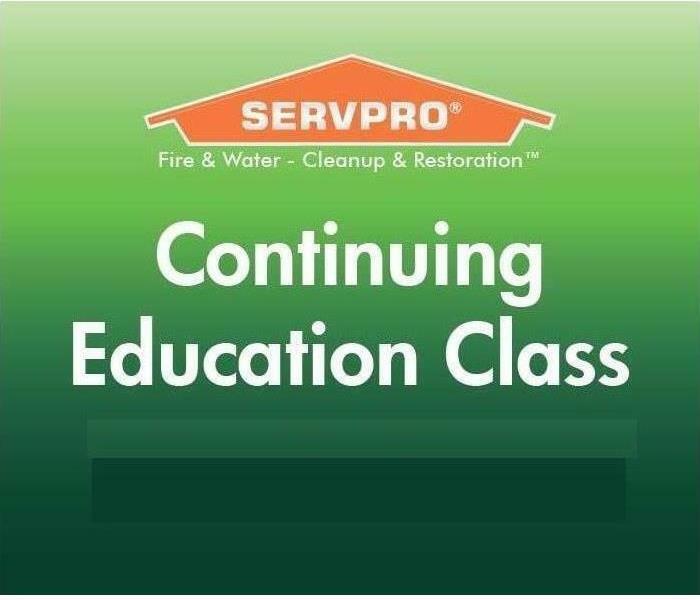 SERVPRO of S. Pasadena at (713) 472-4162, as we can help you reduce the damaging effects of water damage and mitigate the chance that secondary water damage can happen. 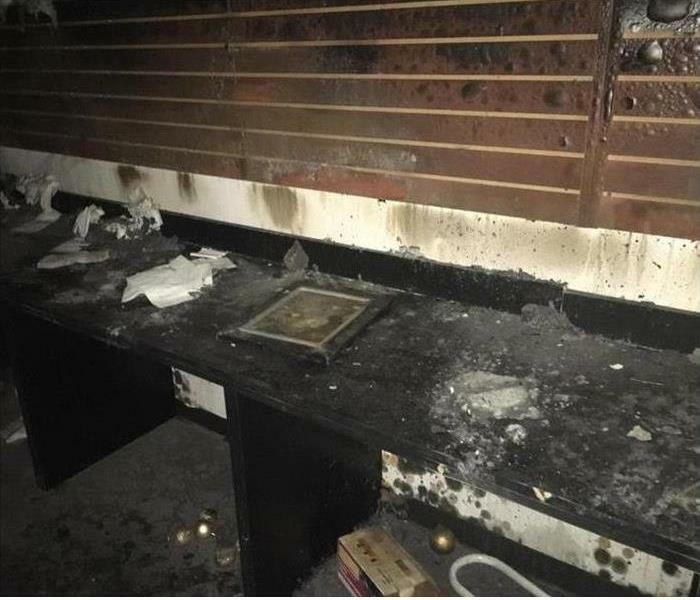 When disaster strikes, it is a good idea to get all valuables and furniture out as soon as possible while mitigating and repairing the environment. 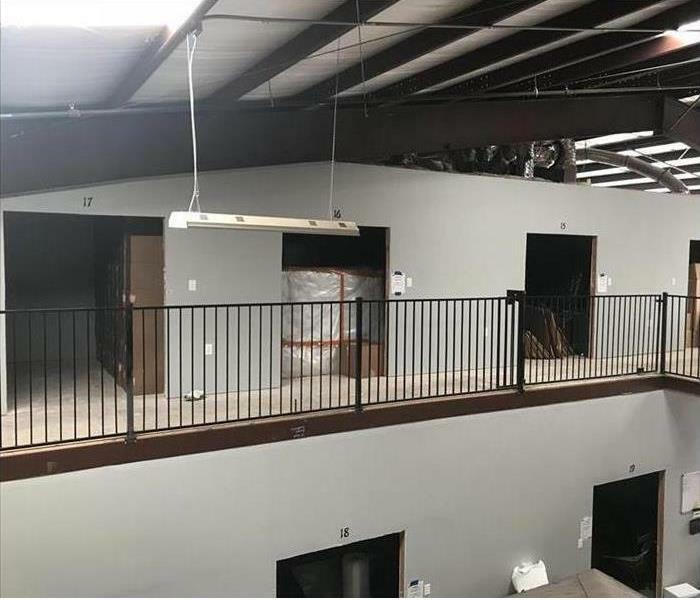 No need to rent a temporary storage facility that would cost hundreds when your Mitigating team will store it for you. 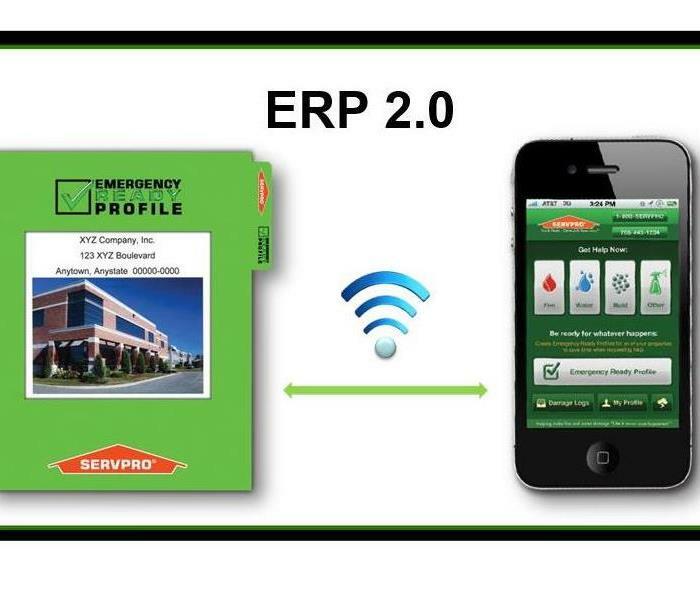 Here at SERVPRO of South Houston. 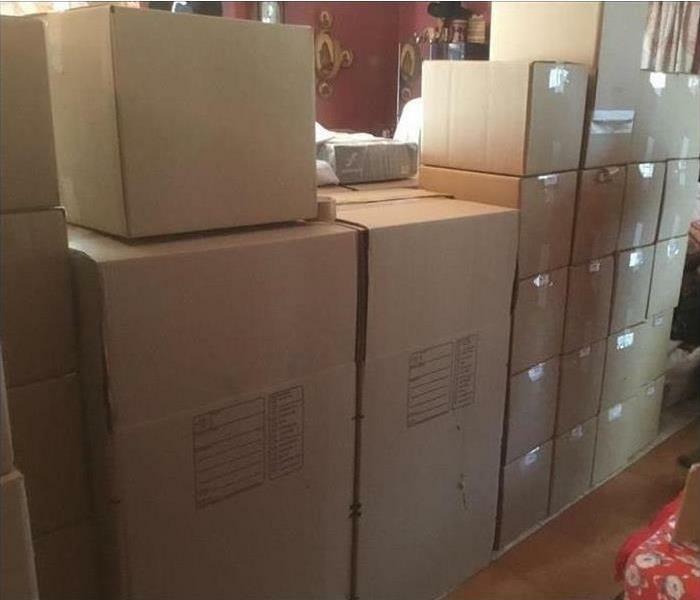 we have an extremely organized pack out system allowing us to keep track of all your items with detailed precision so nothing is lost, forgotten about, and can be cleaned on site when required. If your home is surrounded by trees you know one of the greatest hazards during a strong storm or just on a windy day is flying debris from the trees. 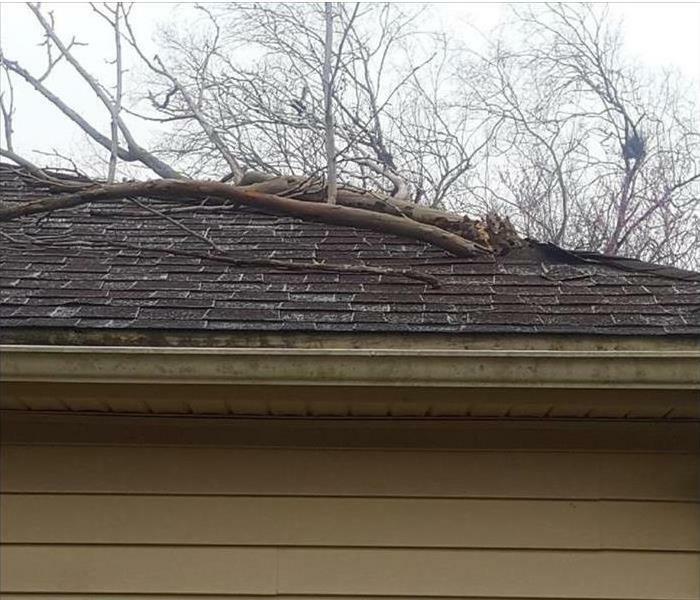 Large branches, like the one seen here, can fall on your roof and create a sizable hole opening you up your attic to the elements. such as the one seen here inside the home or business. 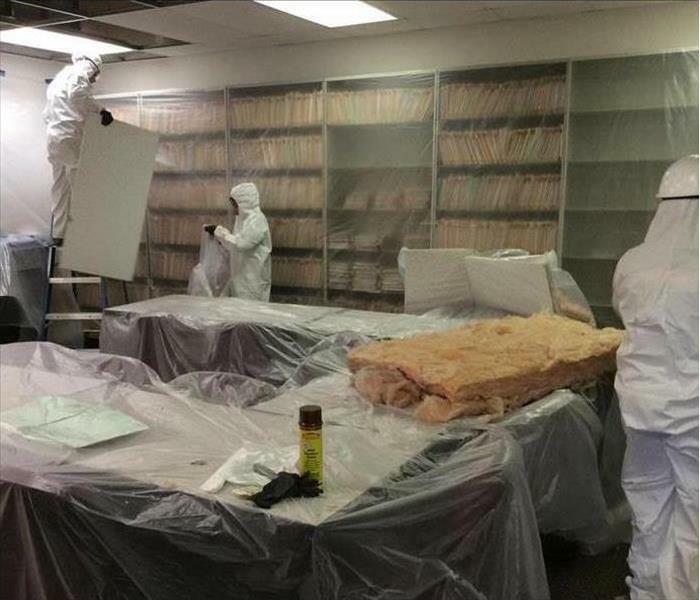 Our SERVPRO team is specially trained to preserve pages in their current state until they can be transported to our facility to be properly restored. 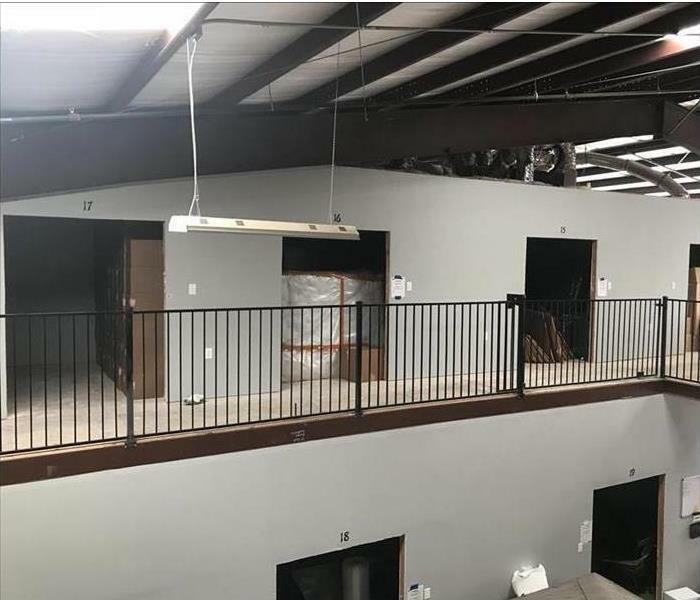 An unexpected cost of a water damage can be having to rent out a storage facility to house all your valuables while the Mitigation team does their duty. 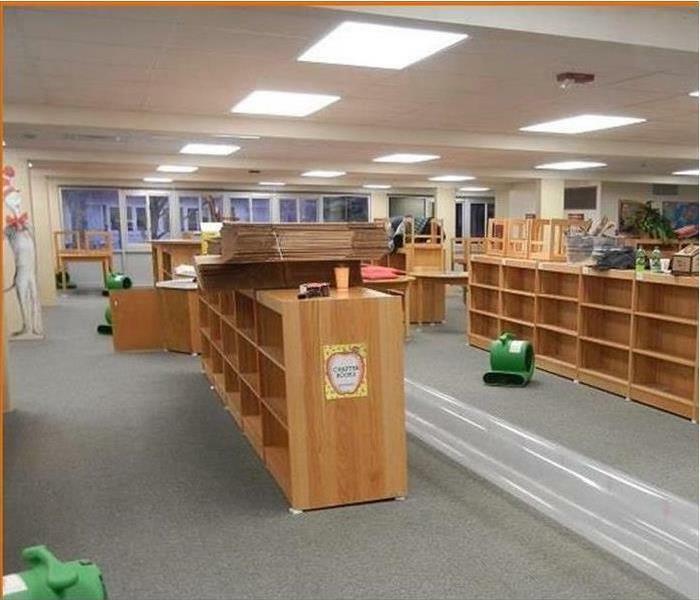 One of the amazing features SERVPRO of South Pasadena offers is the ability to document and house all of your items in our secure facility. Our documenting is so detailed, if there is an important item you need that has been packed, we are able to find the exact location and box it was housed in. Saving you time, money, and stress. 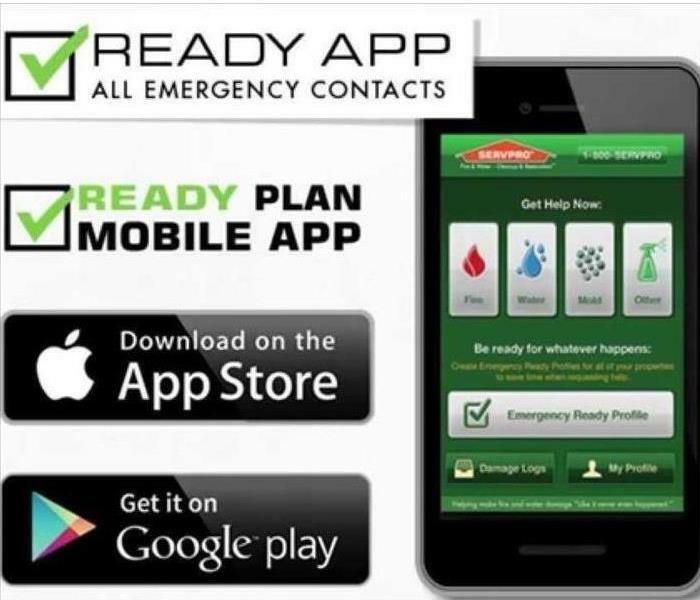 So, if you live in Houston and have a water issue, call SERVPRO of South Pasadena immediately at 281-412-6211. Our professionals have the expertise to reverse and prevent the devastating effects of flooding and water damage. 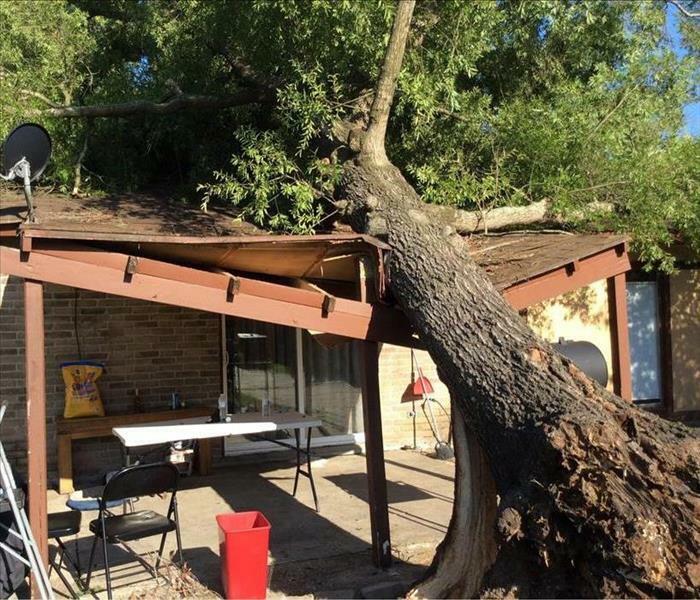 Check for Wind Damage: Wind damage caused by flying debris can be destructive. Storm damage caused by wind cracks windows, creates holes and damages personal property. Wind damage weakens walls and causes wall slant or cracks, resulting in more repairs. 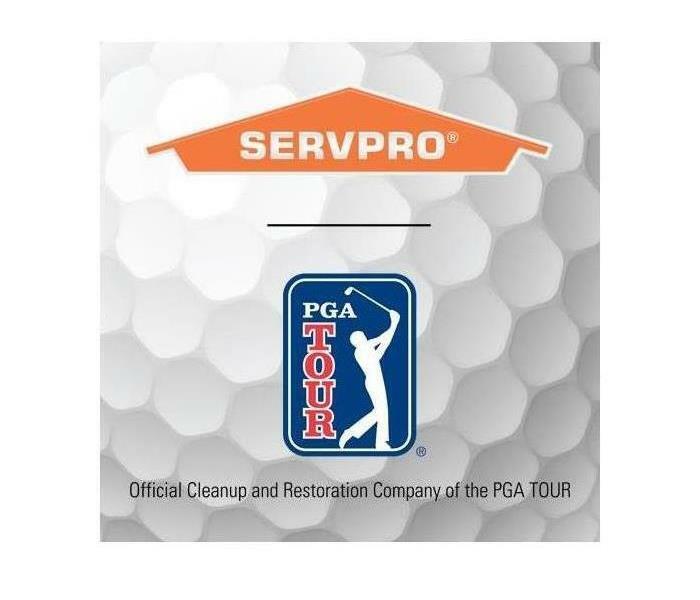 Call our dedicated professionals SERVPRO South Pasadena. We are here to help 24/7. See the little splotches on the ceiling? That is growing mildew from a busted pipe in the bathroom above. 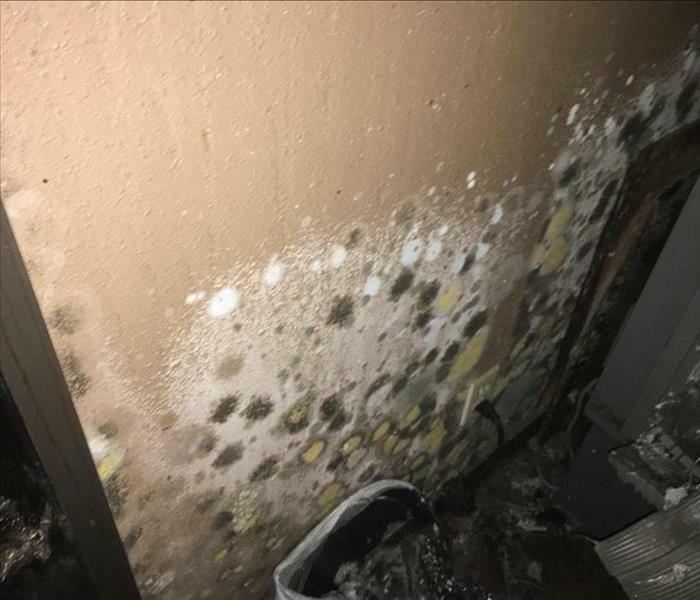 The family here let it sit for the weekend before calling SERVPRO of South Pasadena and it had already begun to show signs of fungal growth. 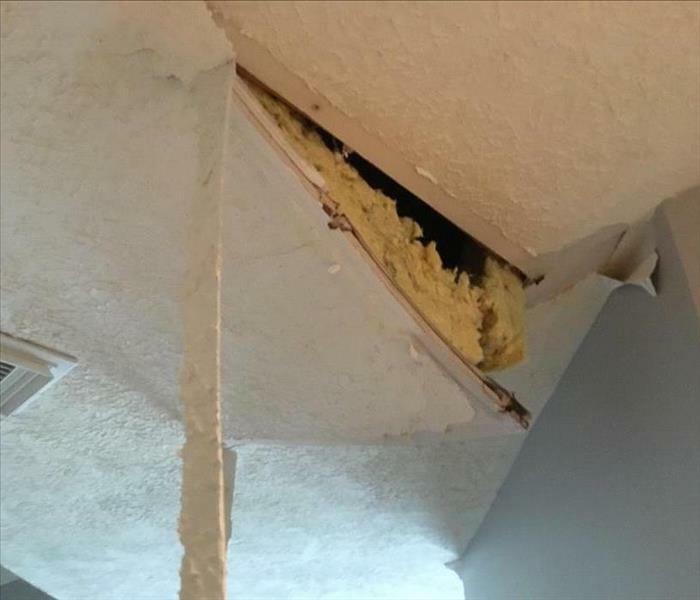 Once it reaches this stage the drywall needs to be removed and replaced. 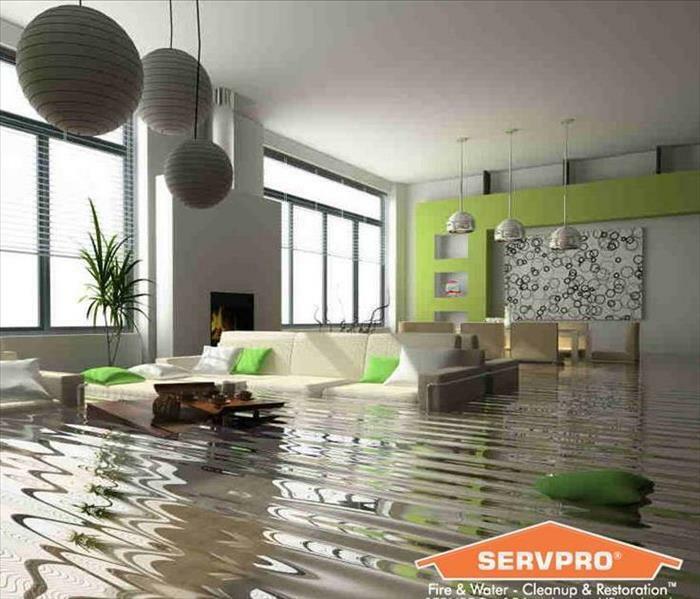 This is why it is crucial that if there is ever a water leak in your home you need to call SERVPRO right away! This company evacuated their building after an electrical fire and didn't return for months. After some time, they decided it was time to return. But recovering from a fire requires a lot more than just letting the smoke clear. As seen in the picture above, leaving a fire to sit will cause an irreparable situation. At this stage, the entire building is better left completely gutted or demolished, costing tens of thousands. 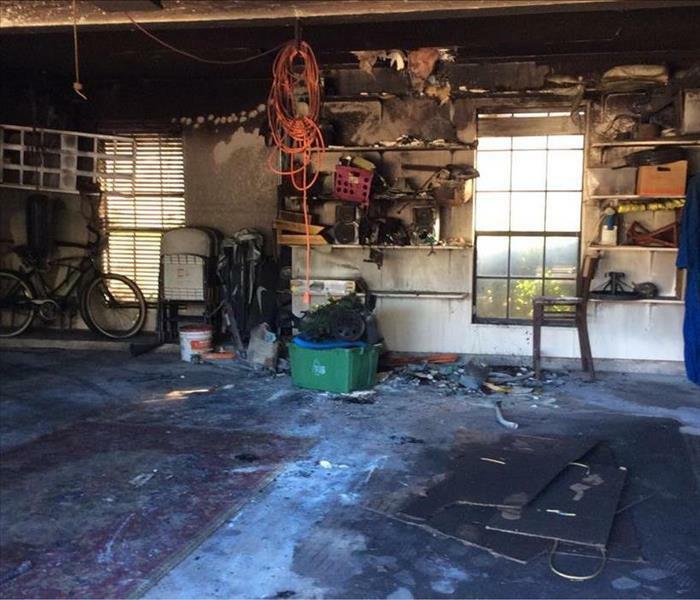 Don't put your business on hold because of a fire. Please, call us and prevent a biohazard. We can help. 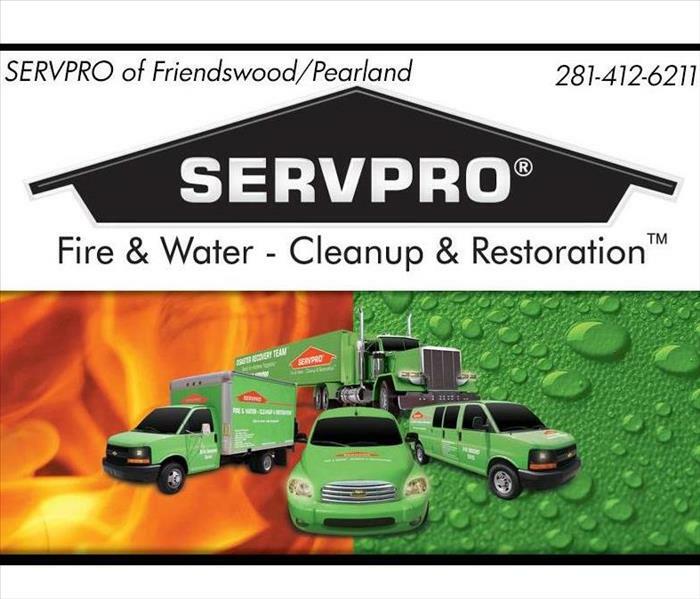 SERVPRO of South Pasadena 281-412-6211. Leaving your garbage on the side of the road for pickup isn't always the best thing to do. Especially when the smell of burnt garbage can be smelled for 200 feet and you live in a close proximity condo. Aside from the smell, these debris piles are the perfect breeding ground for roaches and other local insects. While it may take more time, putting the remains in garbage bags or renting a dumpster will ultimately allow for easier transport and happier neighbors. When exposed to extreme heat, plastics will begin to melt. For most plastics, the temperature only needs to reach around 212 degrees Fahrenheit to begin showing signs of deterioration. Most house fires will burn at a temperature of 1,100 degrees Fahrenheit, leaving all plastic material in the area left looking like the Wicked Witch Of The West. 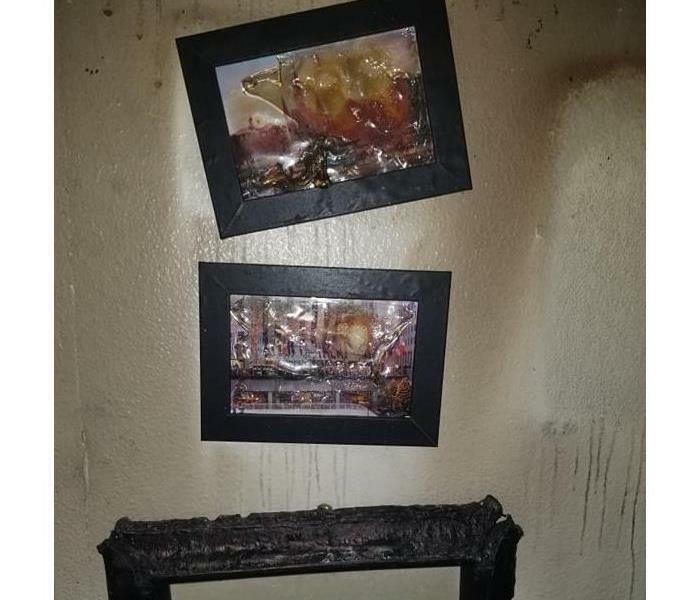 So for those precious family photos hanging on the wall wrapped in a cheap plastic frame, you may want to consider switching to something a little more heat resistant. A common sight here in the Houston area is the scene of palm trees being pushed back by the wind amidst buckets of rain. Hurricane force winds have the ability to push back or even rip shingles from the roof of a home. In more extreme situations, they can even knock over trees, cars, and other loose objects leaving behind devastating damage. 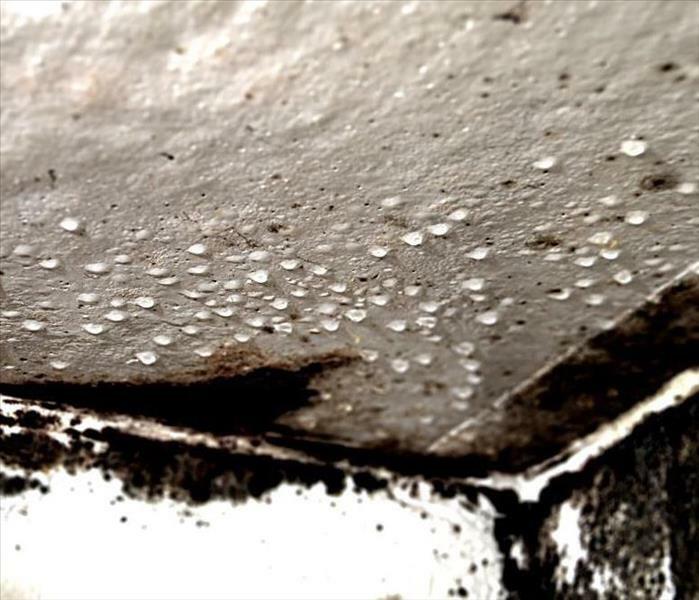 This is why it's important to routinely inspect your roofs for water leaks, holes, and missing shingles. Can you find the DIY mistake? A common mistake in bathroom DIY's is improper installation of tile. 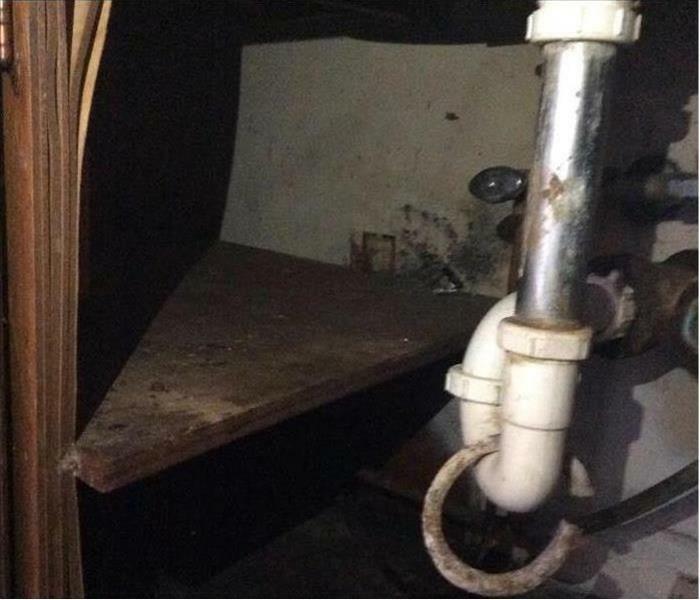 For the most part, this bathroom was redone without any real major issue. Until you consider the possibility that one day you'll have to remove the baseboards. If you look closely, you will notice the grout lines the baseboards, essentially cementing them in. This makes their removal extremely difficult and borderline impossible without cracking tile during removal. 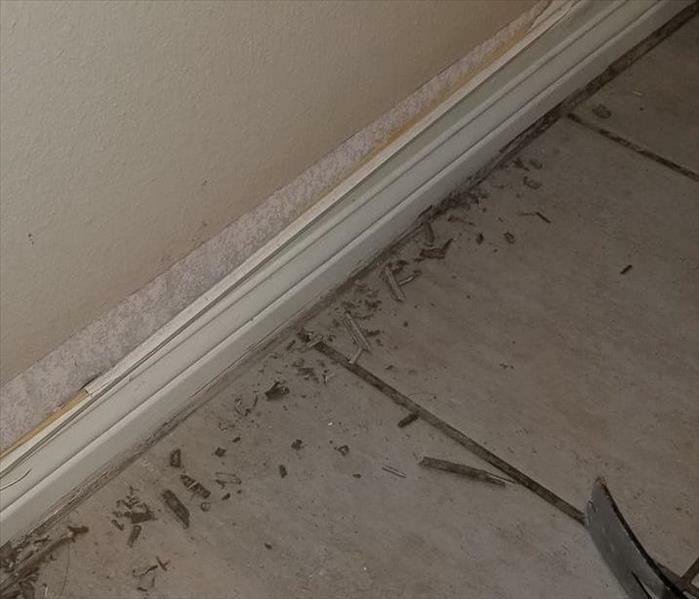 The proper way to line baseboards is with caulking. The caulk makes for easier removal and replacement, protecting that bathroom tile and your DIY investment. 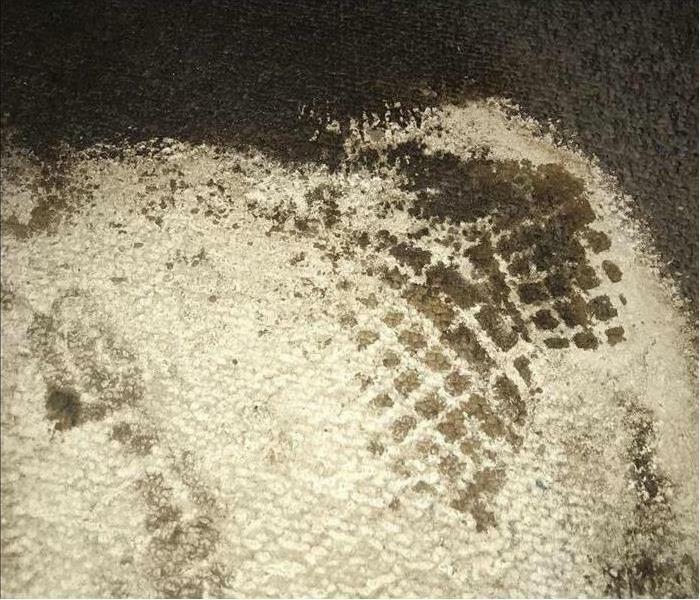 Day in and day out employees tread on the office carpet. They spill their lunch, morning coffee, papers, and whatever is on their shoes into the fibers below. Over time the office will start to look older and used. 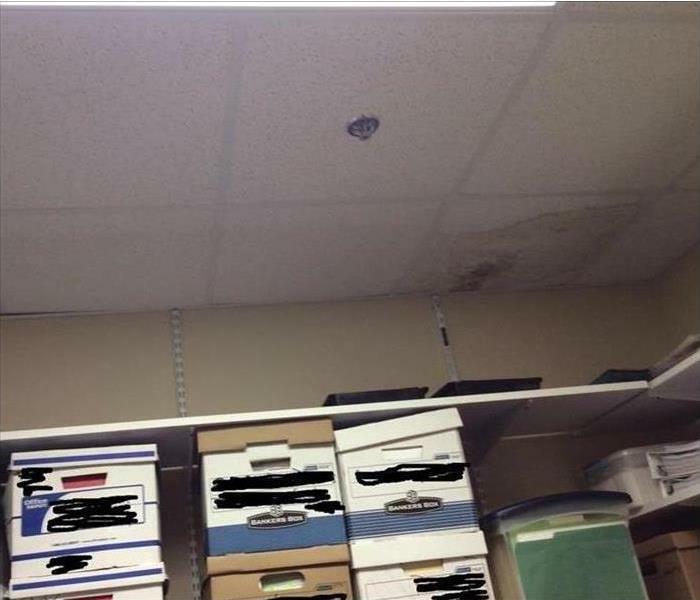 In the picture seen here, a stain has taken hold underneath a receptionist desk from years of Starbucks spills. You can also make out the traffic areas by the dark discoloration compared to the area that was protected by a mat. 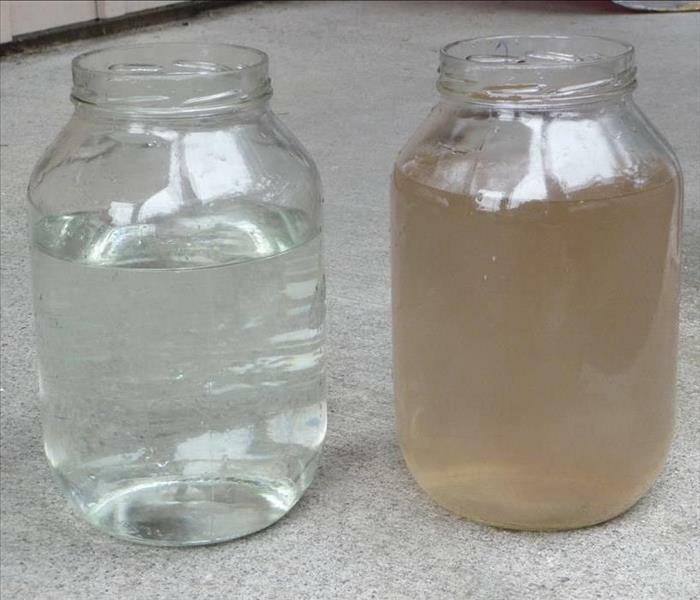 The terms Clean and Gray Water are not just terms of the trade. 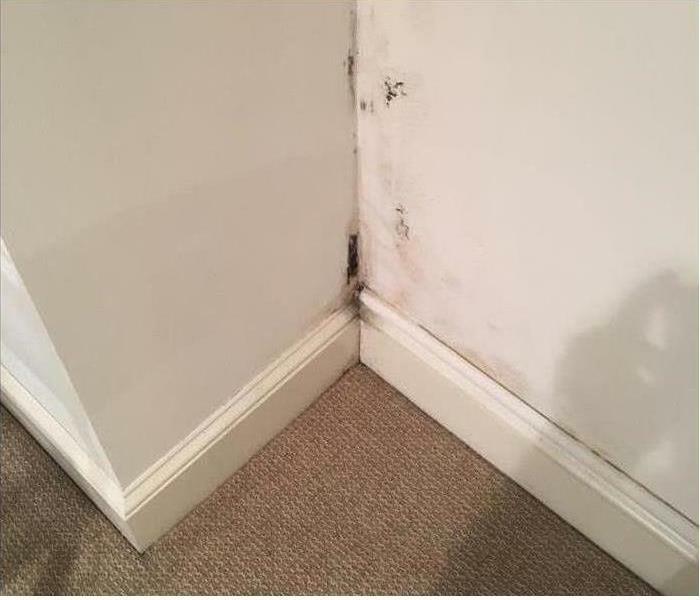 These samples, both taken from different categories of water damage visibly show the different levels of contamination present. 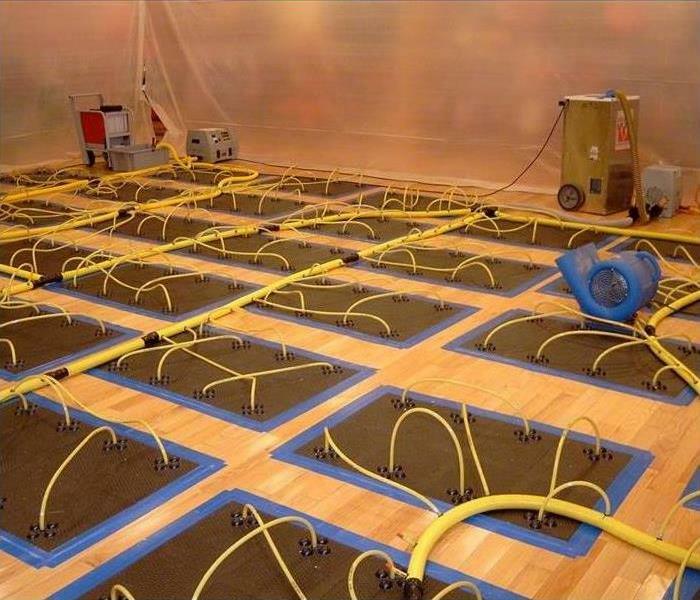 This helps restoration experts to determine what precautions to use when mitigating. A general rule of thumb to tell the difference- If you would drink it, it's clean. 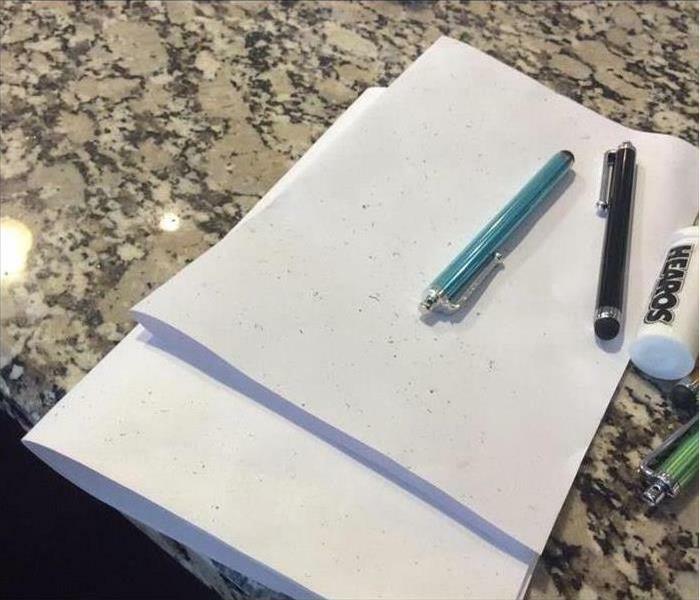 If you wouldn't, its Gray. Water was pooling in the attic of this home for an extended period of time. 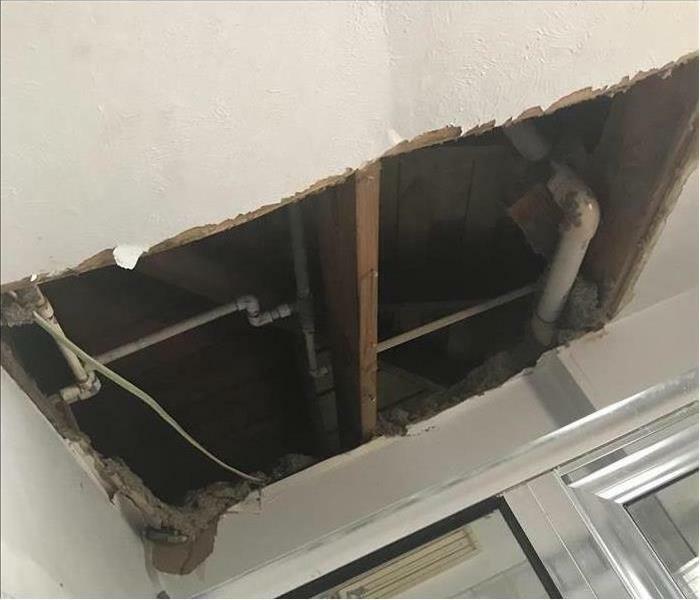 Though the ceiling remained in tact, the water soaked through the drywall and started dripping down the sides of this kitchen. When not cleaned the water will leave yellowing trails composed of dirt and grime like the ones seen here. There is no hobby more manly than fixing up your own car, building a go kart with your son, or doing frankly anything with power tools. However what isn't manly, is starting a fire in the garage. If you watched Home Improvement as a child you remember all the dangers King of DIY Tim Allen put himself in when working with dangerous tools. Before using any power tools; Check to see that the wiring is in good condition; Always work in a well ventilated area; and never work on machinery that is turned on or else your garage may end up looking like this one. Not even the biggest oak trees are a match for mother nature under the right conditions. This large oak tree was uprooted during a heavy windstorm and crashed directly on top of the unlucky residents who were only feet away. Thankfully, no one was injured. One of the many reasons this tree fell was because of its root system. Upon closer inspection you may notice all the roots are very small. It is possible the tree was sick with root rot which is caused when plants sit in moisture for too long. Another reason for the tree falling was due to the supersaturated ground. Recent storms had dumped enough water to turn the soil into a loose, slushy mixture for the root system to grip onto. Once the heavy winds came, the tree had met its fate. One of the greatest hazard during a storm or windy day is flying debris. 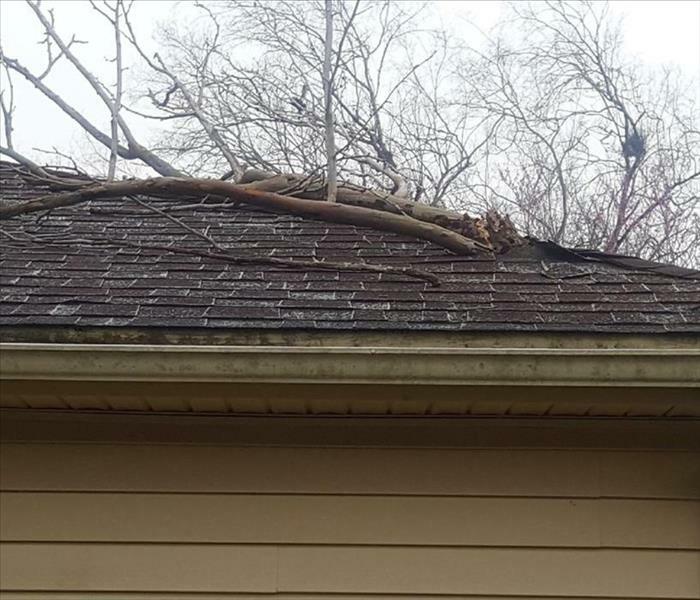 Large branches, like the one seen here, can fall on your roof and create a sizable hole opening you up your attic to the elements. Older neighborhoods are typically at a higher risk due to the higher number of taller trees. We advise homeowners to trim lose branches and remove dead trees from around their home to prevent damage. 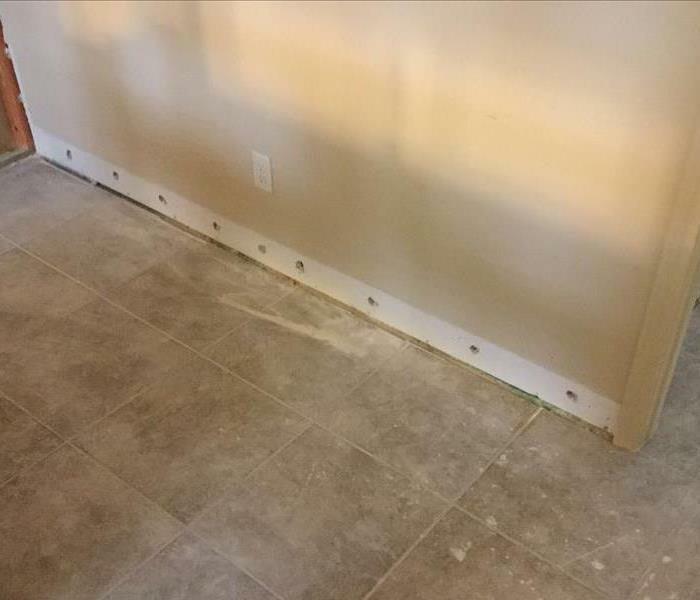 Probably the most nerve racking part of the drying process to a homeowner, when removing moisture from a home it can become necessary to drill holes into the baseboards of the walls or cabinets. Having the holes allows SERVPRO air movers to remove water molecules from every inch of the room. Thus preventing secondary damage and the possible growth of mildew or mold. 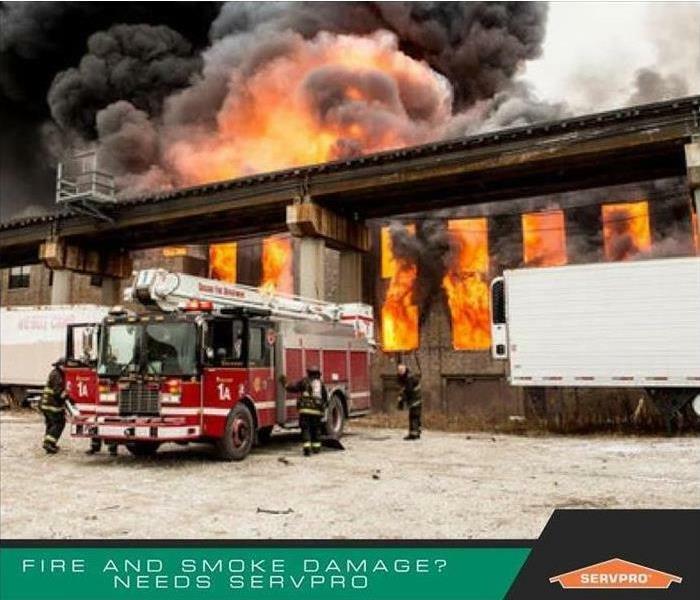 SERVPRO of South Pasadena understands how worrying it can be to see someone damage your property when the goal is to fix it. 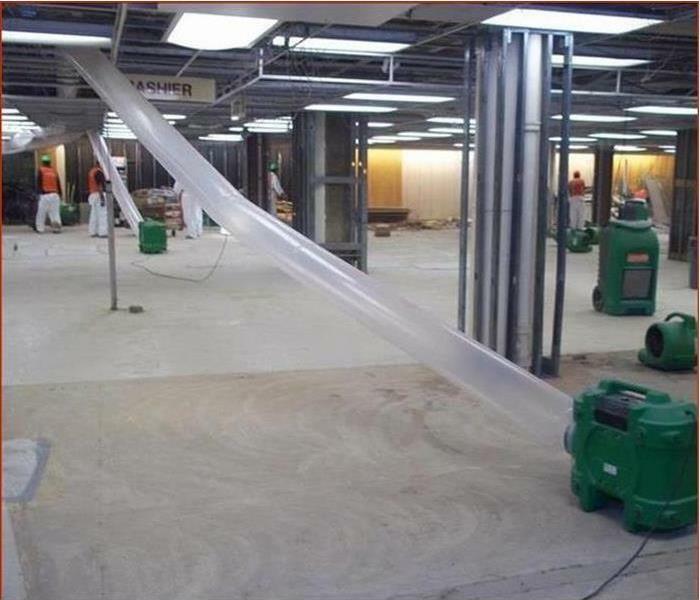 Which is why we explain the drying process in depth before making any cuts and our certified construction team will repair the damages afterwards. 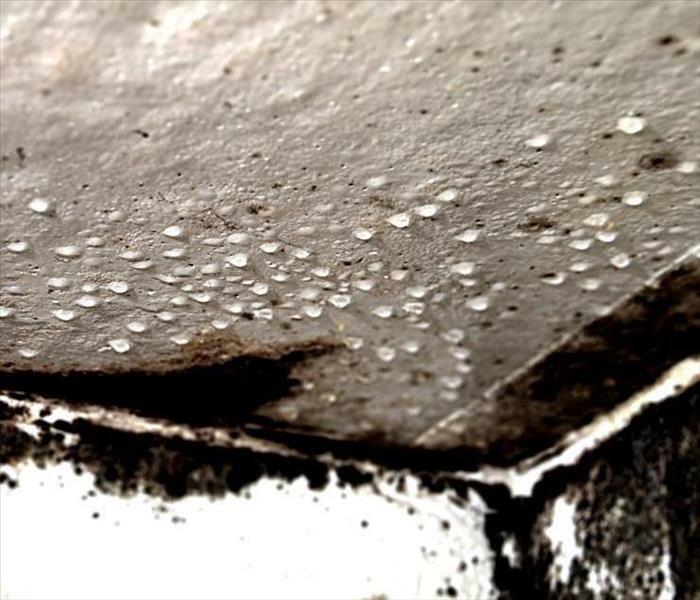 Water and Fire damage can occur on any level of a home. 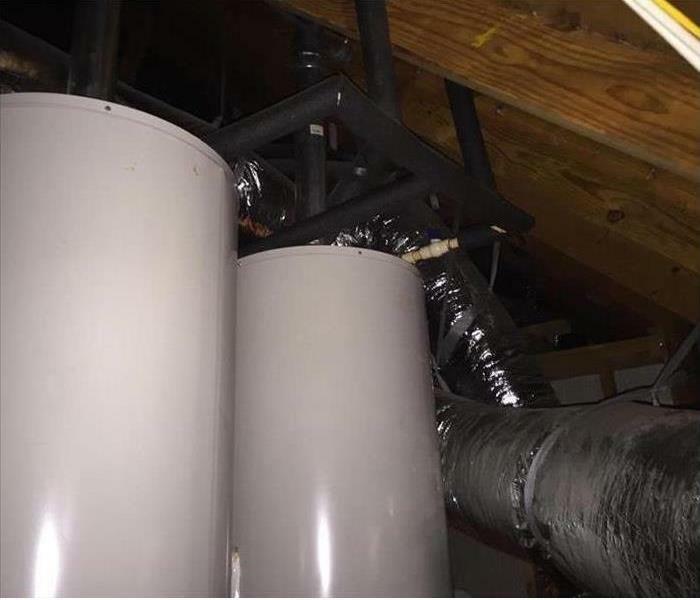 In the case of the picture seen above, a pipe busted on the second level. This requires the drying equipment to be moved to the second level. 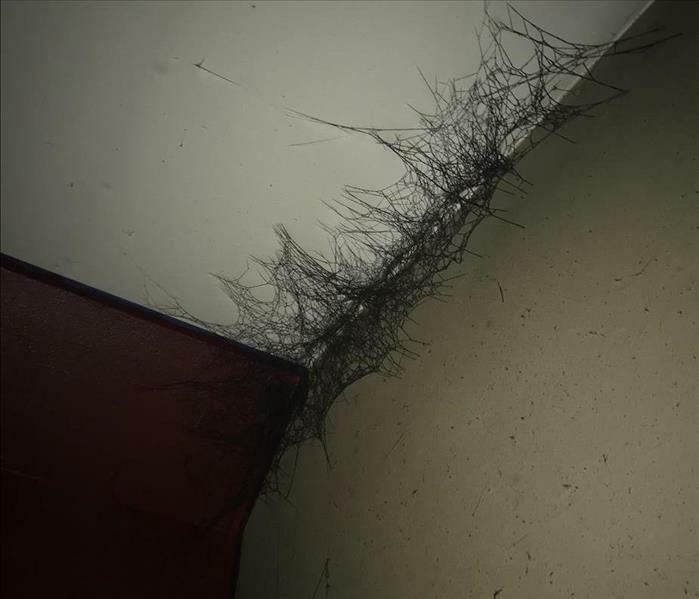 Many people have had the unfortunate experience of service men coming into a residence to fix a problem only to create another one of scratched and dirty floors. SERVPRO of South Pasadena has a moral code and believes that is simply rude. 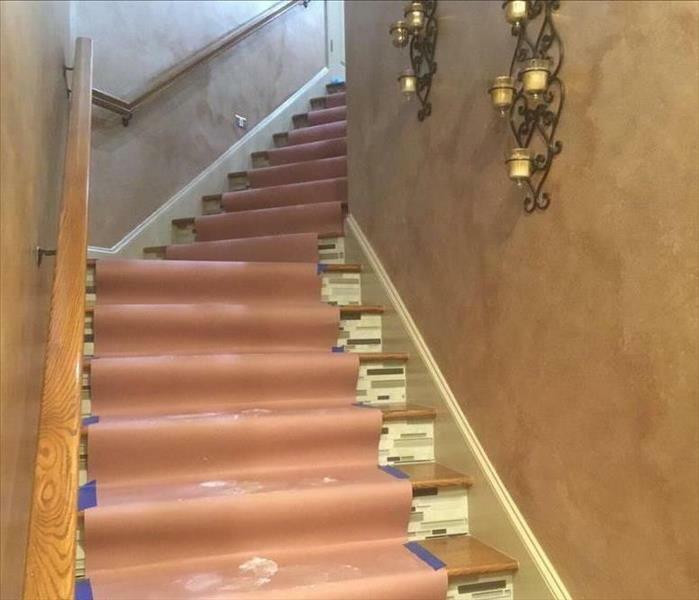 When working in a home, we cover the stairs in a protective layer of cloth or cardboard as seen above. Not only is it the right thing to do, we want it to seem- "Like it never even happened." Here along the Texas coastline, Houston has become a perfect breeding ground for a wild variety of molds. 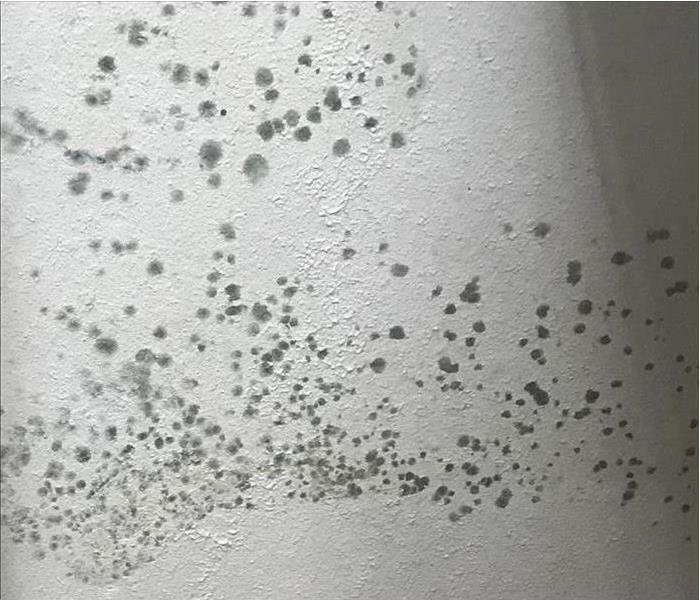 Our Hot and Humid environment will encourage mold growth in as little as 24 hours! 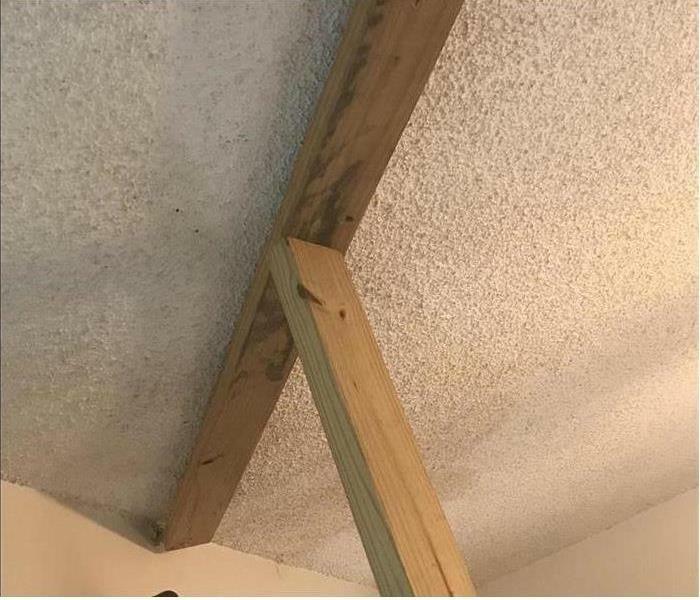 Drying homes in Houston can be as difficult as trying to dry long hair in the humid afternoon. (Ladies will be able to relate.) 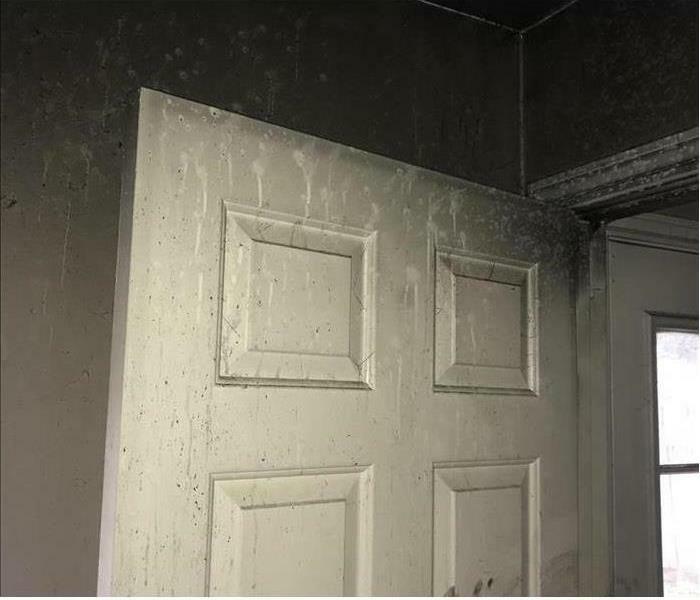 The mold seen here was caused as the result of a fire being doused by the fire department. 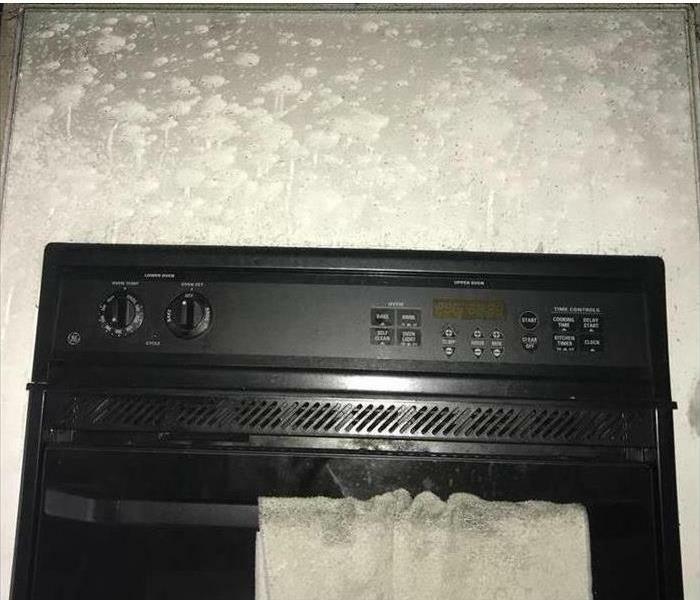 Thankfully SERVPRO of South Pasadena was called to the scene and we know just hot to handle mold even in the most stubborn of environments.